GRACE ANNIE WILLIAMS, beloved wife of the late Robert (Bob) Williams, of Lethbridge passed away peacefully at St. Michael’s Health Centre on August 30th, 2018, at the age of 86 years. Grace will be dearly missed by her 5 children: Bryon (Carla), Ron (Vera), Lori (Harold) Murray, Donna (Bryce) Schultz and David (Karen). She will lovingly be remembered by her 25 grandchildren and 15 great grandchildren. She is also survived by her sister Muriel Thomson of Victoria BC. Grace was born September 22, 1931 in Lethbridge, AB. She was raised in Barnwell and later in Erickson BC. She graduated from the Holy Cross Hospital as a Registered Nurse in 1956. Her nursing career was interrupted when she married the love of her life Bob Williams in 1957 and started a family. 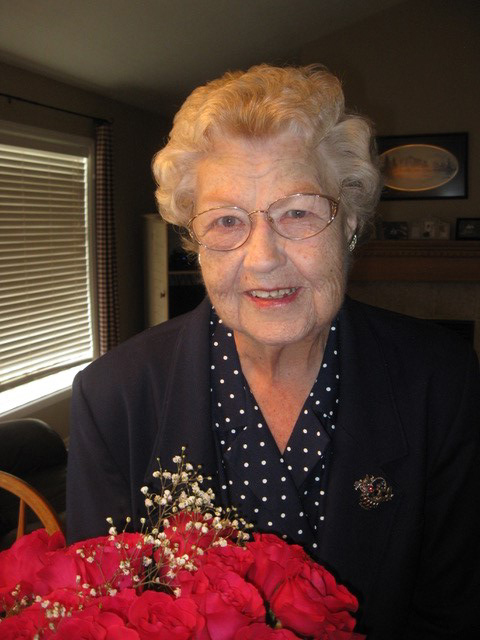 Later, she worked at the Bigelow Fowler Clinic and for Lethbridge Home Care. She loved gardening, genealogy, reading, singing in a church choir, and sharing a good meal with family and friends. Grace’s life reflected that “Family is everything!” She was often seen supporting her children and grandchildren in their various activities from dance, piano, sports, school and church events. Grace was a faithful member of the Church of Jesus Christ of Latter-day Saints. The family would like to thank the doctors, nurses and staff at Edith Cavell and St. Mike’s for their thoughtful care. Funeral Services will be held on Saturday, September 8, 2018 at 1:00 p.m. at The Church of Jesus Christ of Latter-day Saints, LETHBRIDGE STAKE CENTRE, 2410 28 Street South, Lethbridge. Friends may meet the family at the Church prior to the service at 12:00 to 12:50 p.m. Interment will follow in the Magrath Pioneer Cemetery, Magrath, Alberta.